What's Happening at Be Quick Horseshoeing! 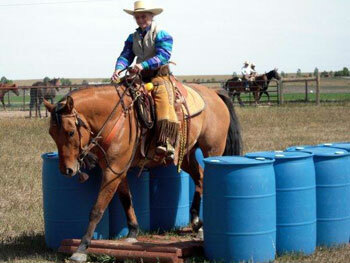 Be Quick Horseshoeing supports many horsemanship events including ranch roping, 4-H and Horsemanship Clinics. Please see the links below for more information. If you are interested in using Be Line Equestrian Center for an event, please give us a call for pricing and availability. We will be adding events as they are scheduled. Our farrier forge is every Tuesday at BeQuick Horseshoeing. Hope to see you there. Spring 2016: Farriers Forge at Be Quick! Farriers and Blacksmiths welcome. Bring your tools and steel. We have parking for rigs and a covered shop. When: Every Tuesday of each month @ 5 PM. Work with local Farriers and Blacksmiths; pool energy and experience. Practice for AFA certifications and contesting. Supported by industry manufactures and distributors. Cost is $10.00 per person per meeting. Please see our Farriers Forge Page for more information. For more information or to register for clinics, call Be Quick Horseshoeing @ Be Line Equestrian Center 970-568-3113 or Contact Us. Please Thank our Sponsors for Ranch Horse Events!